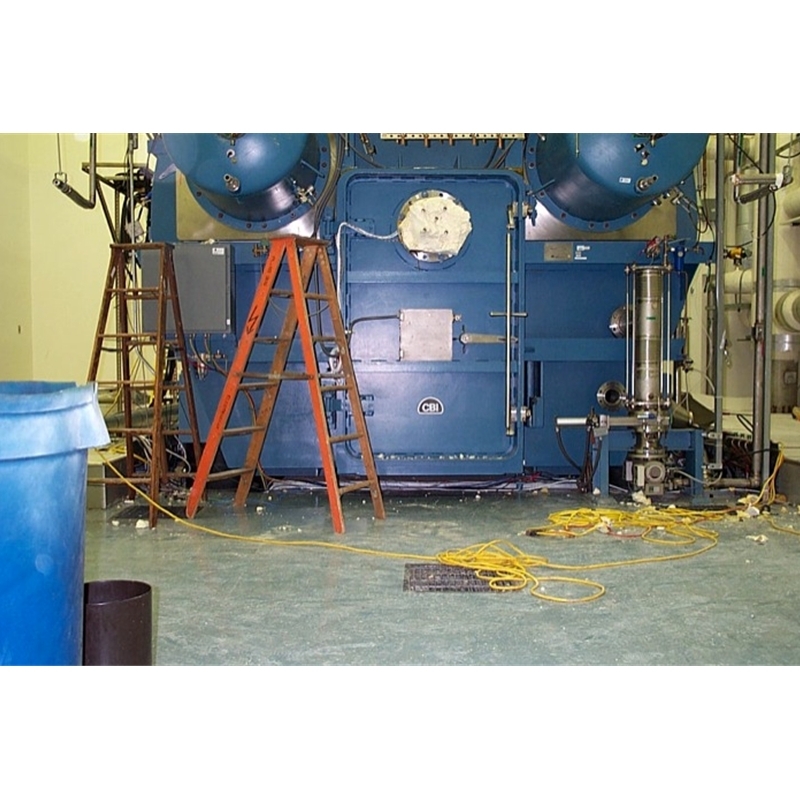 BMI Surplus, Inc., a seller of hard-to-find and unique used scientific equipment, has a used Thermal Vacuum Space Simulation Chamber. 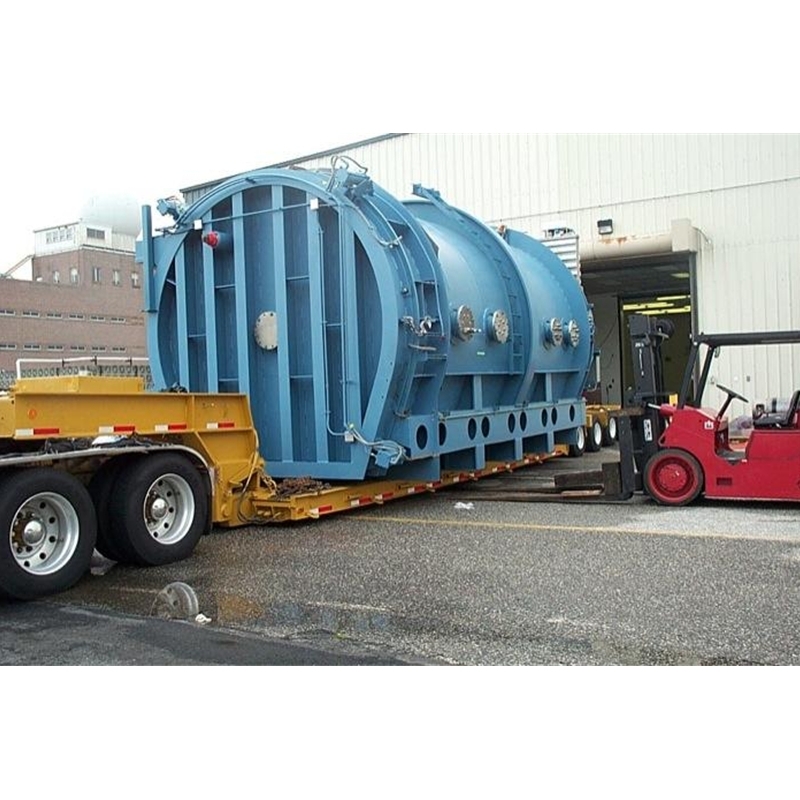 This unit was dismantled from a working class 1000 clean room lab and sent to an indoor storage facility. The Thermal Vacuum Space Simulation Chamber was built by Chicago Bridge and Iron Works, is constructed of 304L stainless steel. The size is mammoth, spanning almost 27 feet, more than 15 feet wide and nearly 14 feet high. Included with the chamber is the thermal shroud, six vibration isolators, roughing pumps with LN2 cooled cold trap, two cryopumps, and turbomolecular pump system; plus, the GN2 Thermal system including the blower, heater and exchanger. The chamber was designed to test material under the conditions of earth’s orbit or deep space simulation. Applications include satellite and solar panels but would also be useful for large-scale vacuum coating processes. Original drawings and system manuals are included. “To have a new chamber of this size built would take at least a year in production. So, the advantage to buying this used Vacuum Chamber is time,” continued Brams. The employees at BMI Surplus have joked about using the Space Simulation Vacuum Chamber as a survival shelter as it is large enough to house a small family as a recent blog post states. But, for potential vacuum chamber customers this is no joke, saving a year in production time means saving money. Founded by Robert Brams, BMI Surplus Inc. has been a premier seller of surplus and used scientific equipment for over 26 years with exciting growth. In recent years, BMI Surplus has invested in state of the art inventory software, launched a new e-commerce website with over 30,000 ready-to-ship items in stock, partnered with more specialists to test equipment and now, the final frontier…social media. BMI Surplus Inc. has certainly earned its reputation in selling quality used scientific equipment, optical tables and breadboards, microscopes, microwave, computer components, optical components, and machinery. We also carry a large assortment of vacuum equipment, semi-conductor processing equipment, laboratory instrumentation, microscopes, test equipment, avionics instruments, process equipment, lasers and much more.